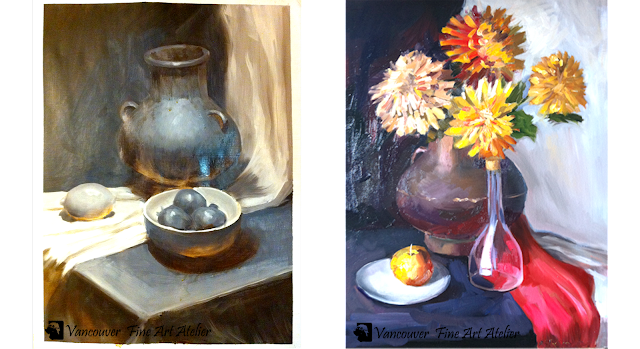 Vancouver Fine Art Atelier: Oil paintings by intermediate students. Oil paintings by intermediate students. Here you can see what we do on the first level of oil painting lessons. All works below are done by students 16 years old & up, who are beginners in oil medium but have some previous drawing experience.